Butternut squash is a nutritious and tasty autumn fruit. It's also quite large and inexpensive, so you may find yourself with a surplus, even after making a big batch of soup or stew. However, don't fret if you have more butternut squash than you can eat right away, because it's easy enough to store. Just follow a few simple steps, and it'll keep for months. If long-term storage is your goal, choose blemish-free butternut squash with hard, dull skins and at least an inch of stem intact. Squash with soft spots, mold, or other damage won't keep for long. 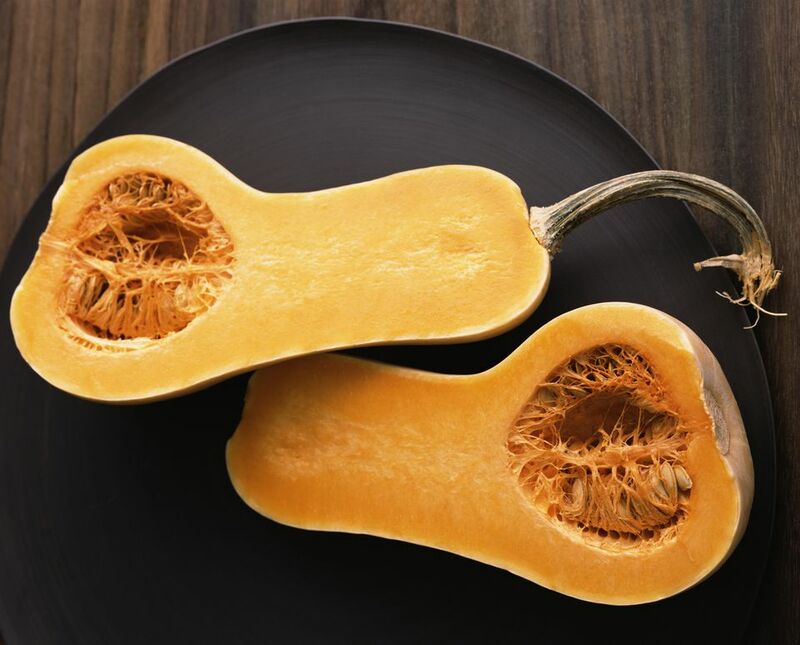 Opt for squash that feels heavy for its size. That's an indication that it's fresh. If you're fortunate enough to have a garden where you grow your own butternut squash, be careful not to pick it too soon. While it may look ready by mid to late summer, it needs to stay on the vine until late September or early October so the skin has a chance to thicken fully. If your butternut squash is truly ripe, you shouldn't be able to break the skin with your fingernail. It's that thick skin that makes the squash so storage-friendly. If you accidentally picked your squash too soon, just work it into your meal plan sometime in the next few weeks. It won't store well, but it still should be tasty. Butternut squash tend to be pretty big. If you cut up more than you need for today's recipe, you can store the unused portion in the fridge for at least four days. Just make sure it's covered, ideally in a close-fitting container or zippered plastic bag. Cut butternut squash also can be frozen. Just spread it out on a cookie sheet, and flash freeze it. Transfer the squash to a freezer-safe container or plastic bag once it's frozen. This will prevent the squash cubes from sticking together, so it's easy to grab just what you need for a recipe. Be sure to label your squash with the contents and date, so you don't mistake it for something else. Frozen squash will keep indefinitely, but it is best if used within six months to a year. Another option is to roast and puree your squash before you freeze it so you easily can add it to bread and soup recipes or reheat it for baby food. It also can be used in place of the pumpkin puree some recipes might require. The two are mostly indistinguishable in taste. You even can use it to make a "pumpkin" pie. Butternut squash seeds also are edible, just like pumpkin seeds, so you can toast them the same way you might toast pumpkin seeds.